In the last Newsletter I told you about my exciting news of launching my own set of dies and stamps ... but I forgot to tell you how to get them !!! So now that I have taken off the Dunces Hat here is the information for you should you wish to purchase any of them. 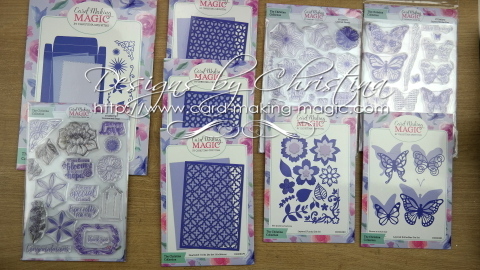 This set has the Complete Card & Box Die Set so that you can make 5x7 cards that will fit into there own matching box. They are exclusive to Craft Stash and the name is The " Christina Collection"
The Additions (2nd Wave) was launched on the 17th November and gave you the option to theme your cards. 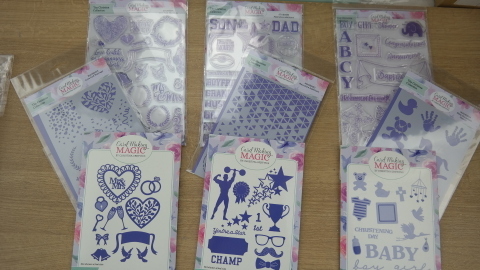 There are Baby Stamps, Dies and Stencils along with some Masculine Additions for the men in your life as well as Love & Marriage for those Special Occasions. But now I am so excited to be able to tell you that there are Nesting Dies (3rd Wave) and these are really beautiful to add layers to all your designs. 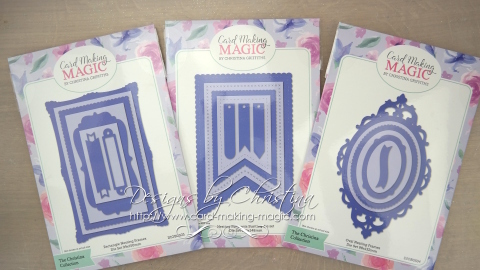 We have Nesting Rectangle, Pennants and Ovals and there are a lot of dies in each set so good value for money.